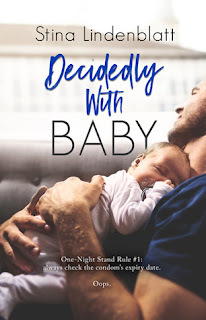 Decidedly with Baby was a fun, wacky, laugh out loud read. If you are looking for a light but engaging read this is your book. Josh and Holly have great chemistry. They are fun, flirty and a bit clueless when it comes to love and babies! I loved that both Holly and Josh are strong and independent. They aren’t looking for their partner to fix their problems. They know that they are adults and that task falls on them. It was fun watching these two fall in love, then watching them realize that they were in love with each other; not to mention watching them figure out how to tell one another. It was truly comical. Plus trying to figure out how to work a baby into the mix. I highly recommend this funny read!